wa lam ya kunlahu kufuan ahad. Say: He, Allah, is Unique! And none is like Him. This chapter describes the pure Oneness (Tawheed) of Allah, all Perfection and Glory is for Him, freeing Him from all kinds of need without associating anything with Him and that which is not in His essence, attributes or actions. This is pure Divine Oneness (Tawheed) according to the Qur'an and it is one of the specialties of the Qur'an and the edifice of all the Islamic knowledge. There are numerous traditions discussing about the virtues of this surah including those received by Shias and Sunnis that say that this surah is equivalent to one third of the Qur'an and the same will be forthcoming in our narrative discourse. This surah is either a Meccan Sura or revealed in Medina, but is likely that it descended in Mecca according to the reasons of its revelation. In this backdrop, the word Ahad (in the verse under discussion) is used in a positive sentence and it has a connotation that in His essence, Allah is such as no one like unto Him can even be imagined - be it one or more. Therefore, regardless of its condition in actuality, it is impossible even to imagine it properly. The literal meaning of "samad" is to intend or to depend. The word has been explained in many different ways. More so, it has been explained as the One on Whom all depend. The word samad in this verse has been used without any restriction – therefore the meaning "One on Whom all depend" is more acceptable. By mentioning the word "Allah" again in the verse under discussion saying: "Allah is He on Whom all depend" and without saying: "He is the One on Whom all depend" or "Allah is Unique and One on Whom all depend" shows that each of these two verses is sufficient in explaining (in a limited way) the attributes of Allah. These two verses praise Allah the Most High in His attributes of essence and action. Therefore, the clause "Allah is Unique" is the praise of His Essence and the clause "Allah is One Whom all depend" is the praise of action - which praises Allah for He is the end of everything. It has also been said that the word samad means One who does not eat, drink, sleep, beget or is He begotten. Therefore the verse that follows (He does not beget nor was He begotten) is the explanation of the word samad. These two verses refute that Allah begets something through another thing by way of separation(2) - just like what the Christians claim about 'Isa (Jesus, peace be upon his noble soul) that he is the son of God or the claim by the polytheists concerning some of their idols that they were the sons of God. In the same manner, these two verses refute that He was begotten or He came into existence from another thing just like what the polytheists claim. In their (the polytheists) belief of god, there is god the father, god the mother and god the son. Also, these two verses refute that God has a partner in His actions just like the claim among people like Firawn and Nimrud - who called themselves gods. To give birth is one way of reproducing (or populating) however one defines it - for the one who is born has to cling to (depend on), and becomes part of, the one who gave birth and definitely each of the parts will be in need of each other. But Allah the Most High is not in need of anything and that all things are in need of Him. Therefore, Allah does not beget. 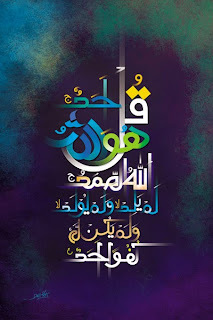 His saying: "He was not begotten": a thing which is begotten must be dependable on the one who begets and Allah is not dependable on or in need of anyone, therefore He was not begotten. In al-Kafi, from Muhammad bin Muslim, from Abu Abdillah (as) who said: "Indeed, some Jews asked the Prophet (s): 'Praise your Lord for us'. The Prophet waited for three days without replying them, and then this surah was revealed." The author says: In Ihtiyaj, it has been reported from al-Askary (as) that the one to ask the Prophet (s) was Abdullah bin Suriyya, a Jew. In some Sunni traditions, it is mentioned that the one who asked the prophet (s) was Abdullah bin Salam, who asked him while in Mecca and thereafter he became a Muslim but he concealed his faith. In some Sunni traditions it says that some Jews had asked the Prophet while some others say that the polytheists of Mecca were the ones who asked the Prophet (s). In Ma'an from the Isnad from Asbagh bin Nabata from 'Ali (as) who said: "the praises (attributes) of Allah is 'Qulhuwallah'. And in Ilal from the isnad, from as-Sadiq (as) who said in a tradition that in Meraj (ascention) Allah (swt) told the Prophet to recite "Qulhuwallah" for it is His praise. This tradition with the same meaning has been narrated by al-Kadhim (as) and also in many traditions of the Sunnis from among the companions like Ibn Abbas, Abu Dhard, Jabir bin Masud, Abu Sais al-Khudr, Muadh bin Anas, Abu Ayyub, Abu Amama and others. There are many traditions received from the Shias regarding the same. The author says: They have all explained that this chapter is equivalent to one third of the Qur'an in different ways one of them being that the Qur'an has the exposition of three main pillars or principles: Tawhid, Prophethood and the Hereafter and this whole chapter (of Ikhlas) covers one of the pillars i.e. Tawhid. In at-Tawhid it is reported that 'Ali (as) said: "One day I saw Khidr (as) in my dream before the battle of Badr and I said to him: 'teach me something that will protect me from the enemies' and he (Khidr) said: 'say, yaa huwa man la huwa illa huu' (O You besides Whom there is no one except You). So when I woke up, I narrated this to the Messenger (s) who told me: 'O 'Ali you have been taught a glorious name'. That is why this was at the tip of my tongue on the day of the battle of Badr." In al-Kafi, from the Isnad of Daud bin al-Qassim Jafari it is reported that he asked Abu Jaffar (as): "What is the meaning of samad?" He (Abu Jaffar) said: "It means the One on Whom all depend from little to plenty." al-Baqir (as) said: "Samad means one who is obeyed and no one else". al-Hussein (as) said: "Samad means one who has no example or model, one who does not sleep, one who is available and will always be available". as-Sajjad (as) said: "Samad is He Who if He wants something, He says: 'Be' and Samad is (also) He who has produced things and created unique species in pairs - male and female. The author says: The actual meaning of Samad, as narrated by Abu Jaffar II (as), is that which is in keeping with the intended theme (of the surah). So various meanings have been transmitted by the Imams (as) in their tafseer and it compels us to say that Samad means the One (Almighty God) on Whom all depend for all their needs without Him having any dependence (or need). In the same at-Tawhid from the isnad of Ibn Abu Umair who narrates from al-Kadhim (as) that he said: "Know that Almighty God (swt) is only One! One on Whom all depend, He did not beget to be inherited nor was He begotten to be associated (to have partners)." In another sermon of 'Ali (as), he said: "He (Allah) was not begotten except that He should not have a partner in His Glory and He does not beget except that He should not be inherited. The author says: There are many traditions narrating what has been mentioned in the foregoing. Al-Mizan is a very important Commentary of the Quran by the great Scholar and one of the most prominent thinkers of Islamic philosophy Allama Muhammad Hussain Tabatabai (1904-1981). He was also a master in the fields of Irfan (Gnosis) and Mysticism. 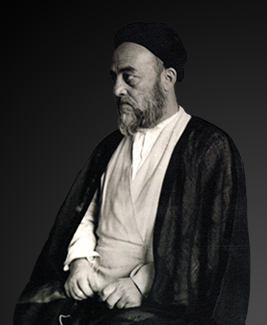 Allamah Tabatabai was born in Tabriz, Azarbaijan, in northwestern Iran and studied at Najaf. In his later years he would often hold study sessions with Henry Corbin and Seyyed Hossein Nasr, in which not only the classical texts of divine wisdom and gnosis were discussed, but also a whole cycle of what Nasr calls comparative gnosis, in which in each session the sacred texts of one of the major religions, containing mystical and gnostic teachings, such as the Tao Te Ching, the Upanishads and the Gospel of John, were discussed and compared with Sufism and Islamic gnostic doctrines in general. He was one of the most brilliant mind in recent time. May Allah elevate his status and raise him in the proximity of the Holy Family (AhlulBayt) on the day of Judgement. His famous Exegesis / Commentary of Qur'an, al-Mizan is translated in English partially as an ongoing project and can be accessed here: Tafsir Al-Mizan. The Sufis kept their eyes fixed on esoteric aspects of creation; they were too occupied with their inner world to look at the outer one. Their tunnel-like vision prevented them from looking at the things in their true perspective. Their love of esoteric made them look for inner interpretations of the verses; without any regard to their manifest and clear meanings. It encouraged the people to base their explanations on poetic expressions and to use anything to prove anything. The condition became so bad that the verses were explained on the-basis of the numerical values of their words; letters were divided into bright and dark ones and the explanations were based on that division. Building castle in the air, wasn't it? Obviously, the Qur'an was not revealed to guide the Sufis only; nor had it addressed itself to only those who knew the numerical values of the letters (with all its ramifications); nor were its realities based on astrological calculations. This is remarkable and you may read the Preface in full here. Tafsir Al-Mizan by the late scholar Allamah Muhammad Hussain Tabatabai, Allah bless his soul, is one of the most important modern Tafsir / Commentary of the Quran and here Tafsir of the chapter al-Ikhlas (112) is shared.